This card is Exploding with Fun! Danielle Pandeline created this super cool card that folds up into a BOX! Seriously? How cool is that? 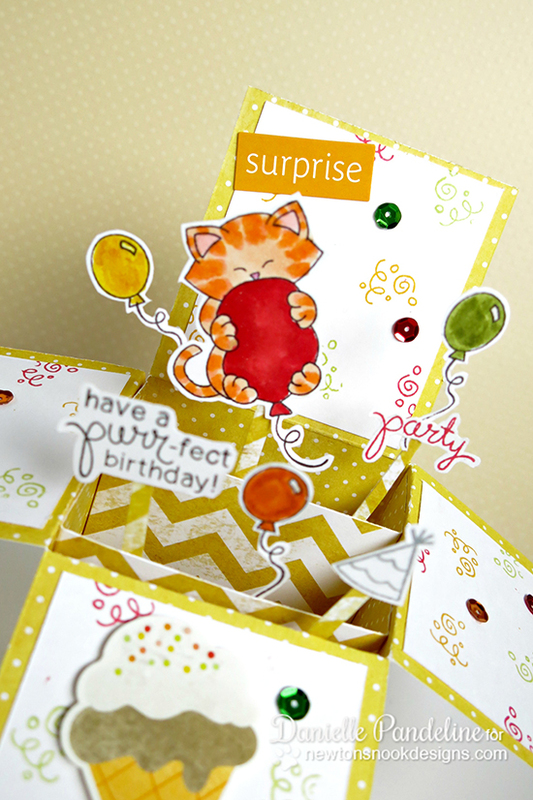 She used a bunch of cute images from our Newton's Birthday Bash and Winston's Birthday stamp sets! The balloons literally pop out at you - isn't that so fun? Does this amaze you? Are you dying to see how to make it yourself? You're in luck! Danielle created a video showing you how! Wasn't that great? To see more of Danielle's work, pop over to her blog Girl Racer Scrap and say hello! You can also subscribe to your youtube channel Girl Racer Photo! 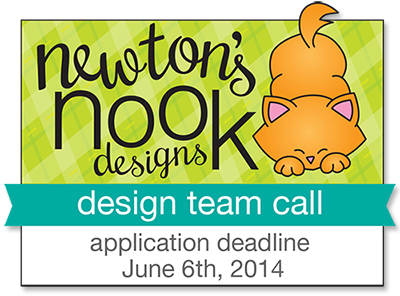 Don't Forget - We're accepting Design Team applicants until Friday! Would you love to be on our next Design Team? Check out our Design Team Call post for details! How A-DOR-A-BLE is this card-in-a-box!! Definitely a technique I need to try! Thanks for the video; it's awesome! Happiness in a box! Super fun card! SO CUTE!! I always wondered how these boxes were made, now I know :) Not as difficult as they look, and I'm sure anyone who received one of these would be very impressed! Thanks for the great video! this card is beyond incredible! like...wow!! LOVE the yellows and reds/oranges you used!! it's like a literal box of sunshine!! can't wait to see the video! !